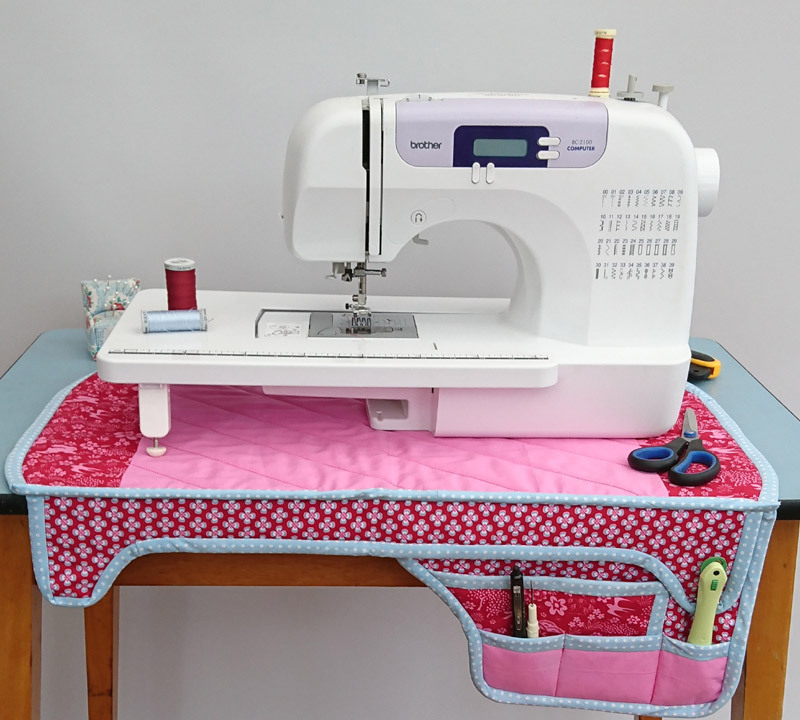 We were thrilled when Michelle from Creative Blonde offered to write us another one of her fabulous tutorials and we are delighted with how her sewing machine mat tutorial has turned out. I’m sure you are going to want to have a go at making your very own. 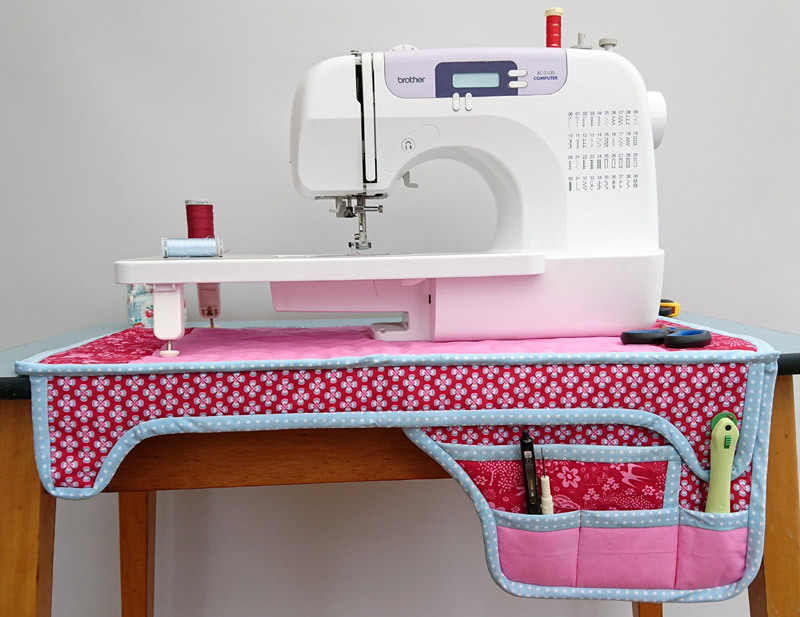 When given the task to design a sewing mat, I knew all the things it had to have… I didn’t want anything hanging over my legs, so I knew my pockets would have to be to one side. Plus, I wanted it to have an extra trim at the front, to give it a smart finish, and to help it stay put. My sewing table was given to me by my 100-year-old nan (my best friend) when she passed away, I love the blue, so I also wanted to use the blue in this gorgeous fabric bundle for the binding. With RST sew a short piece to each end of the two main pieces. 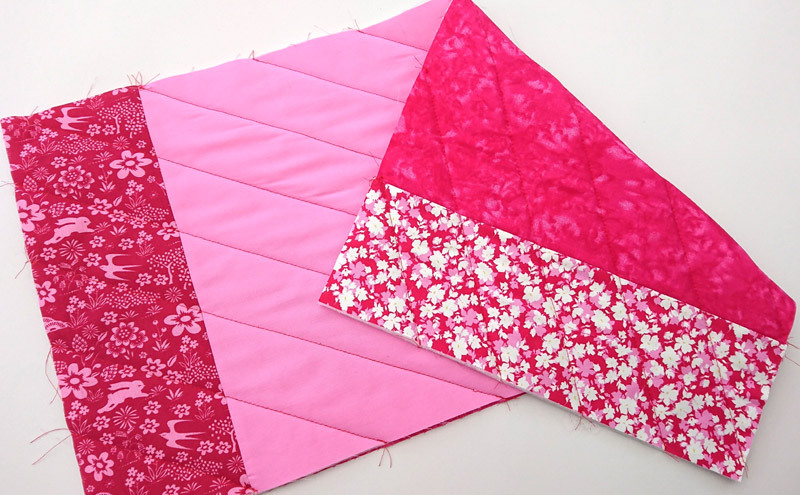 Baste these pieces together to create a quilt sandwich, trim a 1” curve from each corner. Using your heat erasable marker pen, draw diagonal lines, 2” apart. 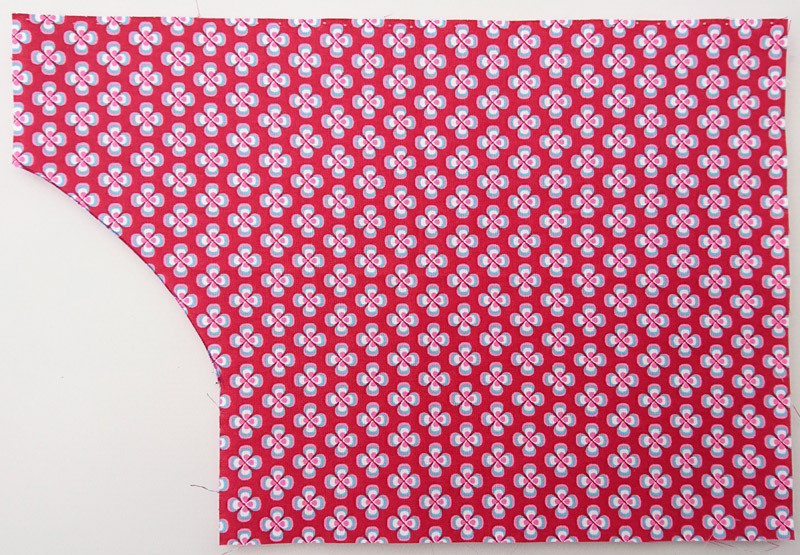 Change your stitch length to 4.0 and quilt along these lines, using the red Gutermann thread. 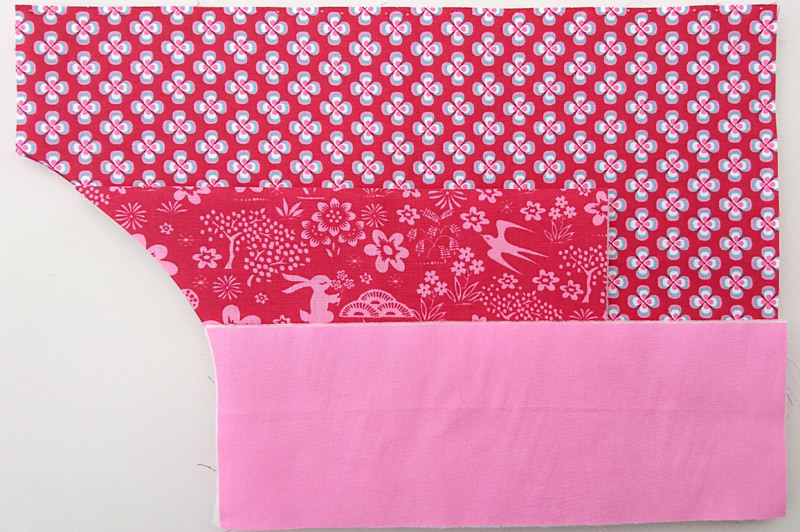 To make the binding, take the fat quarter of Blue with white polka dots, and cut 2” strips along the bias. Join these strips together. Press in half, open out and press each half to the centre. Sew to your main mat, using the Blue Gutermann thread, along three sides (see photo for placement), leaving an extra inch of binding at the beginning and end, un sewn. 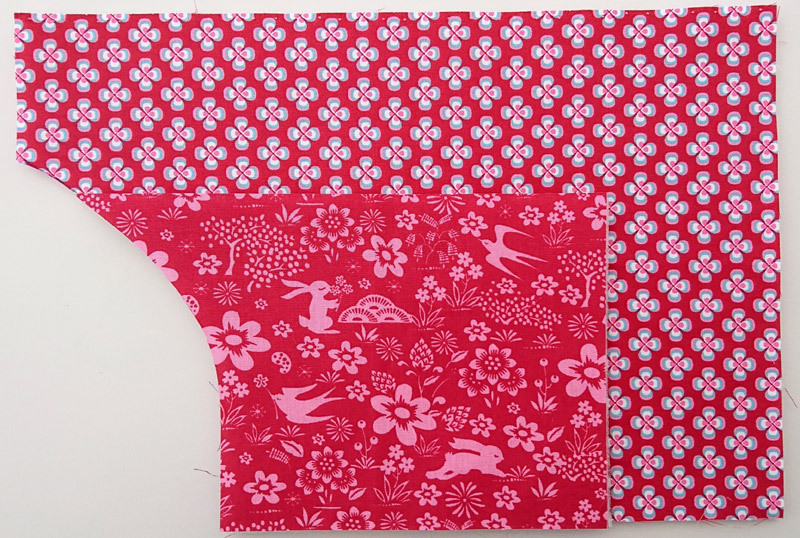 To make the trim, cut two pieces of your chosen fabric from your Cotswolds bundle to measure 4.5” x 23” each and a piece of fusible wadding the same. Using a circle template, draw a curve from the end of the line to meet the wider edge. 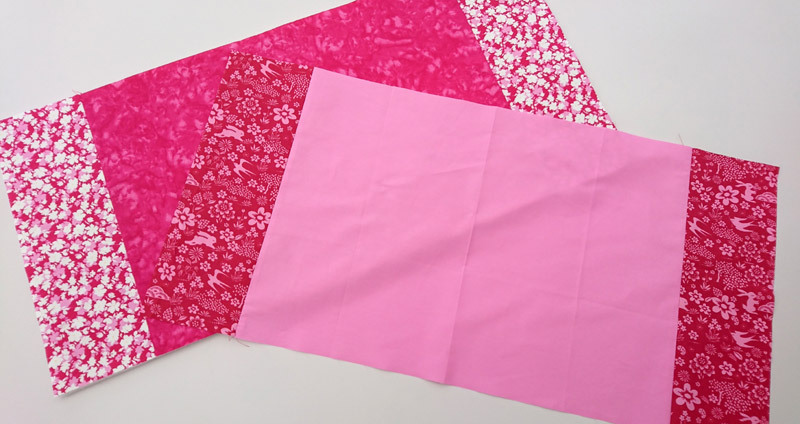 Repeat this on the other piece of fabric and wadding, this time use the first piece as your template. 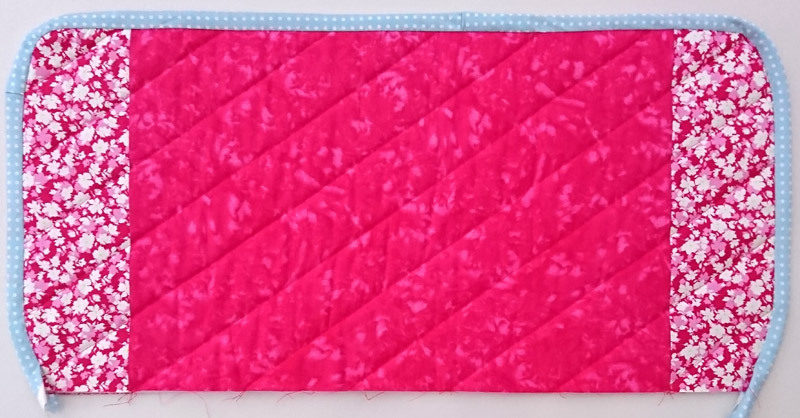 Add binding, in the same way as before, start by adding to the top of the smallest pocket, then along the top and right-hand side of the medium pocket. Using the red Gutermann thread, sew vertical lines to create the pockets, by placing the two smallest pockets on top of each other. Hand sew using a ladder stitch, the binding on the right hand side of the medium pocket to the main pocket. 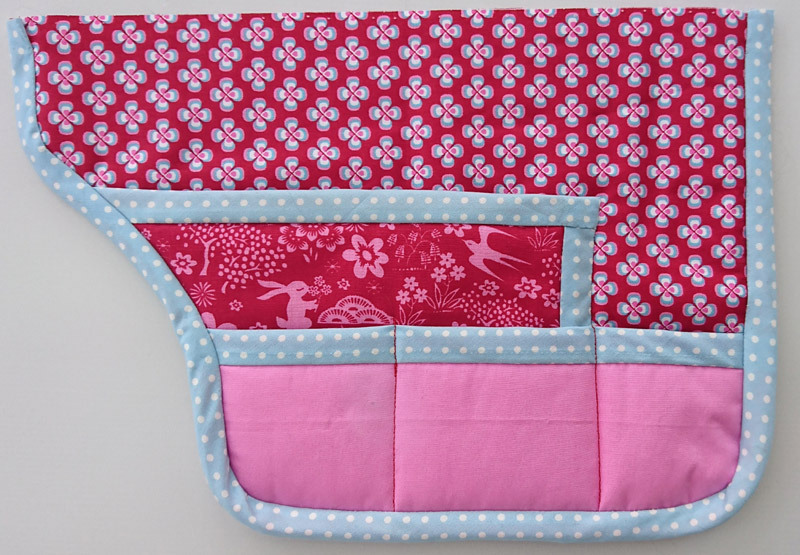 Add binding along all edges, apart from the top. Lay the main sewing mat faced down, as lay the pocket faced up, sew together using ¼” seam allowance, repeat this process for the trim. Add binding along this raw edge, this will allow the trim to hang over the edge of the sewing table and prevent it from moving. 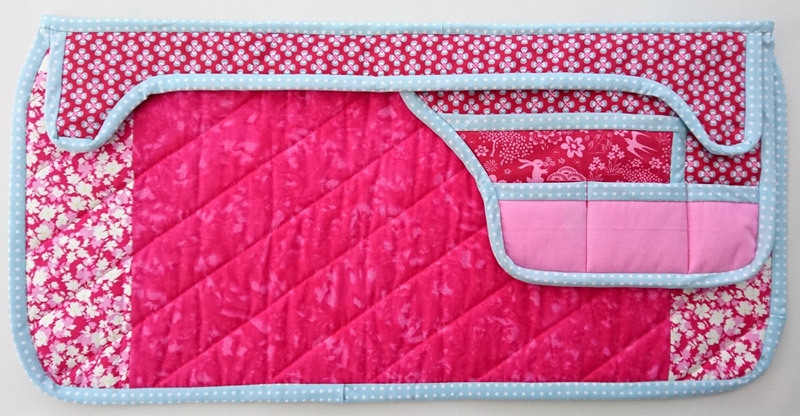 You can download your country fushia sewing mat pdf. It’s a pleasure, I hope you enjoy this great little project. 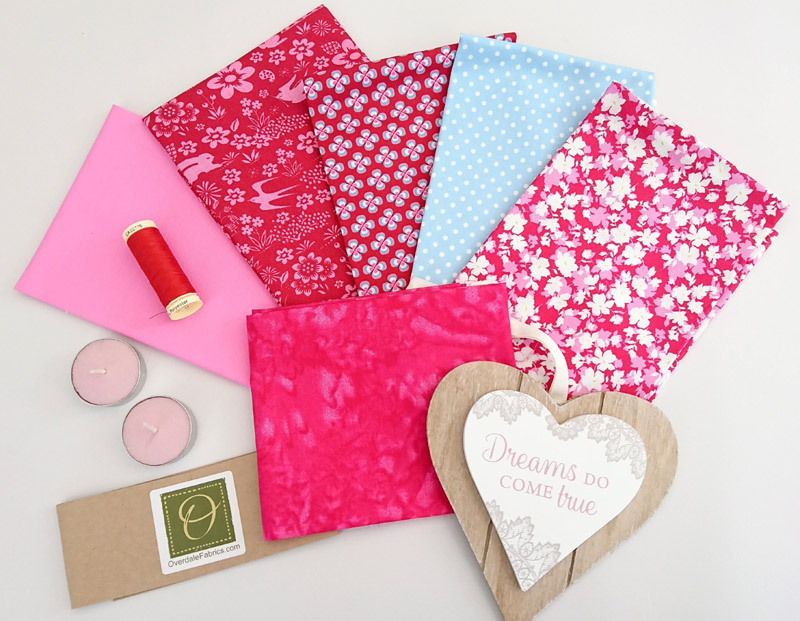 We would love to see a photo of your sewing mat if you’d like to share your make with us. It’s great to hear you like this project Carol. In your directions for the sewing machine mat, you use the abbreviation of RST. What does that mean? RST stands for right sides together. Meaning the print sides of the fabrics. I LOVE your finishing on the mat. 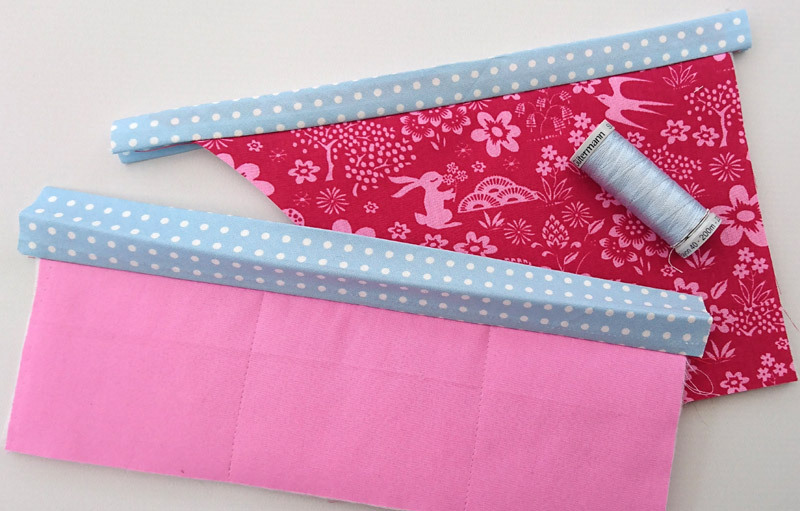 The reason I have not made one is that the pockets always ended up in the lap of the sewist. This solves the problem wonderfully, as this is the proper way to sit at your machine (even with the needle). I think I would like the pockets a little deeper, an easy change to make for my needs. Thank you for the pattern, I really appreciate your talent. Yes, I agree. A little deeper, the one I made and currently use has deeper pockets but giving stuff that is basically in my lap makes me crazy! Hi Kathy, I’m delighted to hear that you like this tutorial. 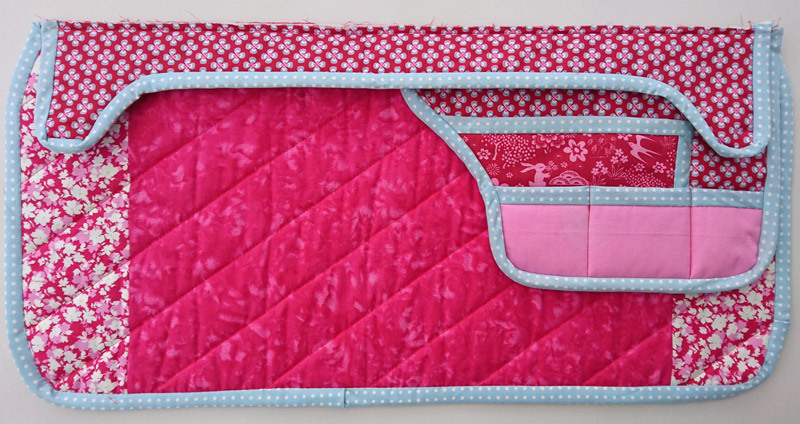 I love the way you are going to personalise it and make the pockets deeper. If you would like to share a photo of your finished mat I would love to see it. Thank you for sharing this pattern and such excellent directions. This is a must do for me. 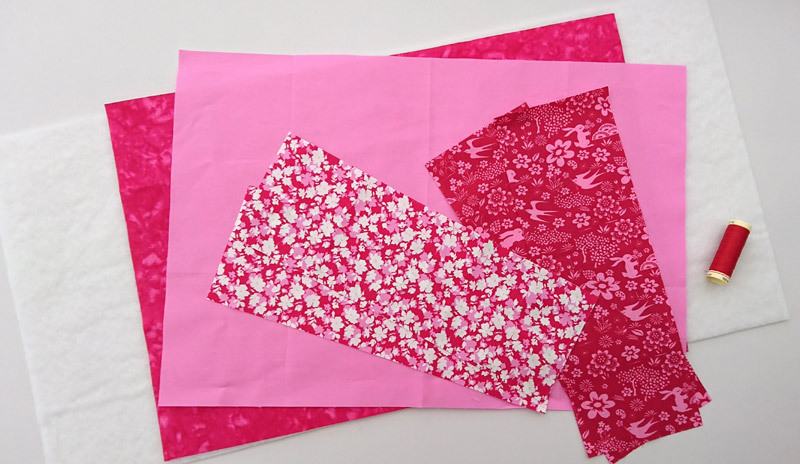 It’s so great to hear that you are enjoying this pattern Denise. What size approx. Was the circle template used? Kathy: Yes, I agree. A little deeper, the one I made and currently use has deeper pockets but giving stuff that is basically in my lap makes me crazy! Can’t wait to try this. Is it available as printer friendly? There is a downloadable PDF set of instructions. You can find the link for it at the end of the post and print it off. Yes, I agree. A just little bit deeper, the one I made and currently use has deeper pockets but giving stuff that is basically in my lap makes me crazy! Can’t wait to try this. Is it available as printer friendly? Or perhaps in PDF?